Sean Szymkowski June 4, 2018 Comment Now! John Hennessey, founder of Hennessey Performance Engineering, says being the fastest really matters. 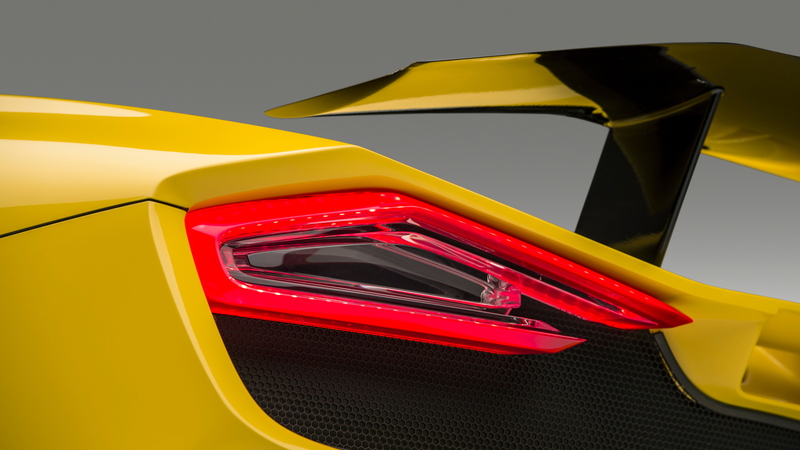 It's a goal he aims to achieve with the Hennessey Venom F5 supercar. Speaking to Autocar in a report published on Monday, Hennessey said the "fast is best" ethos comes from the company's customer base—HPE has a reputation for building vehicles with four-figure horsepower numbers. "For our clients, being the fastest really matters. They want it to be the best," he said. "The last car went 270 mph and was still pulling, but it had a massive amount of downforce and drag; it had a drag coefficient of 0.44." The Hennessey Venom GT managed to clock 270 mph in one direction, but the run was too short to qualify for a Guinness World Record. Since then, the Koenigsegg Agera RS has claimed the top spot with a two-way average of 278 mph. 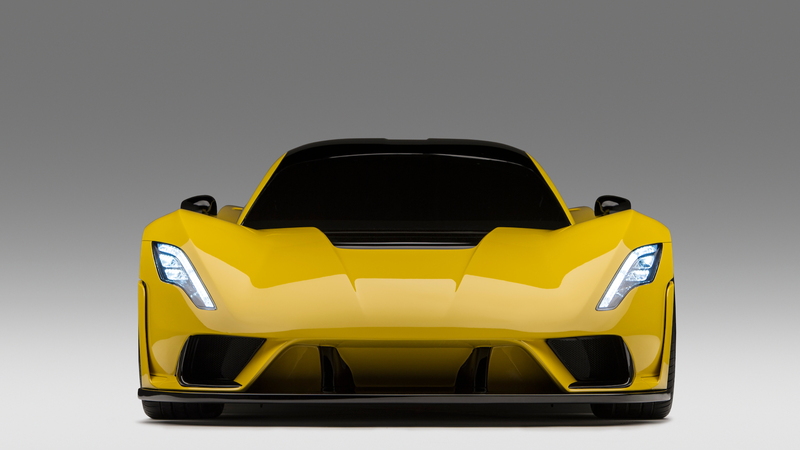 With the improvements planned for the Venom F5, Hennessey is confident the supercar will be able to break the 300 mph barrier. To start, HPE is allegedly developing a carbon-fiber structure with a 0.33 drag coefficient to cut through the wind much better than the Venom GT. Power this time around will come from an 8.0-liter twin-turbocharged V-8 engine, which will reportedly include a billet-milled block and cylinder heads. It should make about 1,600 horsepower. 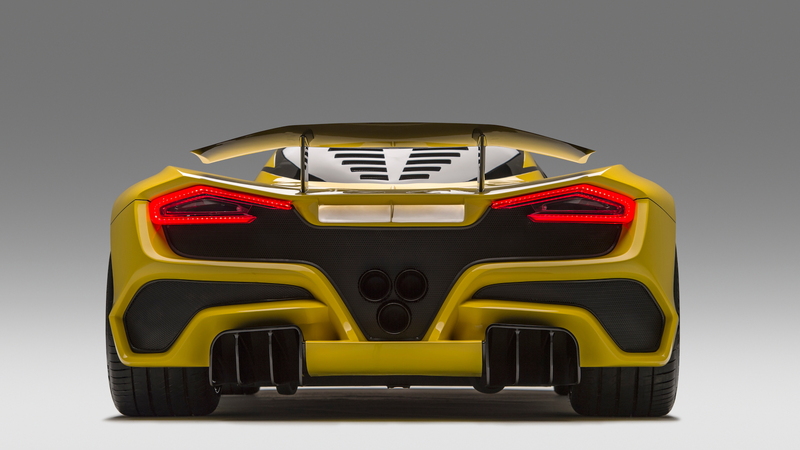 Hennessey said the company determined 1,600 hp was the magic number to reach the Venom F5's quoted top speed of 301 mph. He said the car could potentially hit 300 mph with less power, but added, "I always like to feel I’ve got more power in case it’s hot or we’re running at higher altitude." 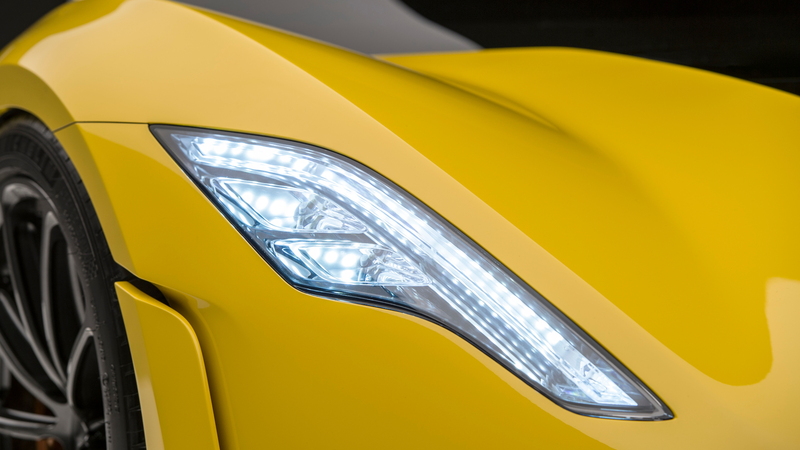 Everything about the Venom F5 will be engineered and developed in-house, save for the transmission. Hennessey said the gearbox will be a similar 7-speed single-clutch unit to what Koenigsegg uses. Hennessey also pushed back against naysayers who think there can't possibly be a tire rated to handle the forces at speeds approaching 300 mph. 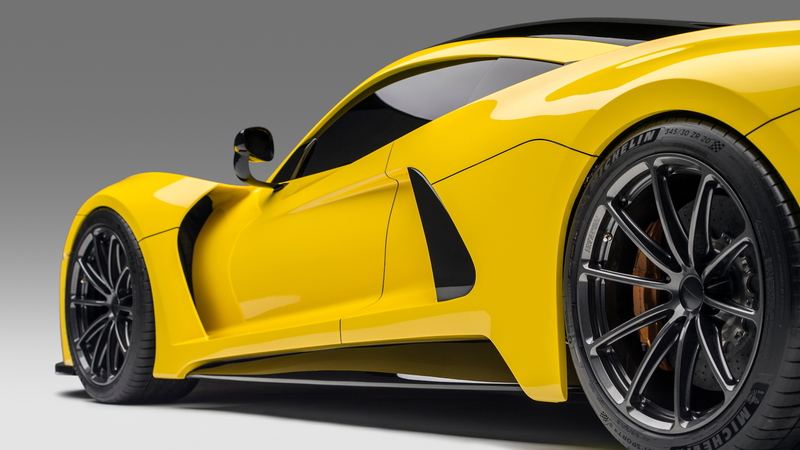 He said it ultimately depends on what the company intends to use the tire for, which opens the door for a specific set of tires created just for the Venom F5's potential record-setting run. Even if the Venom F5 breaks the 300-mph mark, Hennessey doesn't foresee it as something customers will be able to replicate. He said the record will be set under very specific circumstances, and drivers won't be able to mimic the results.